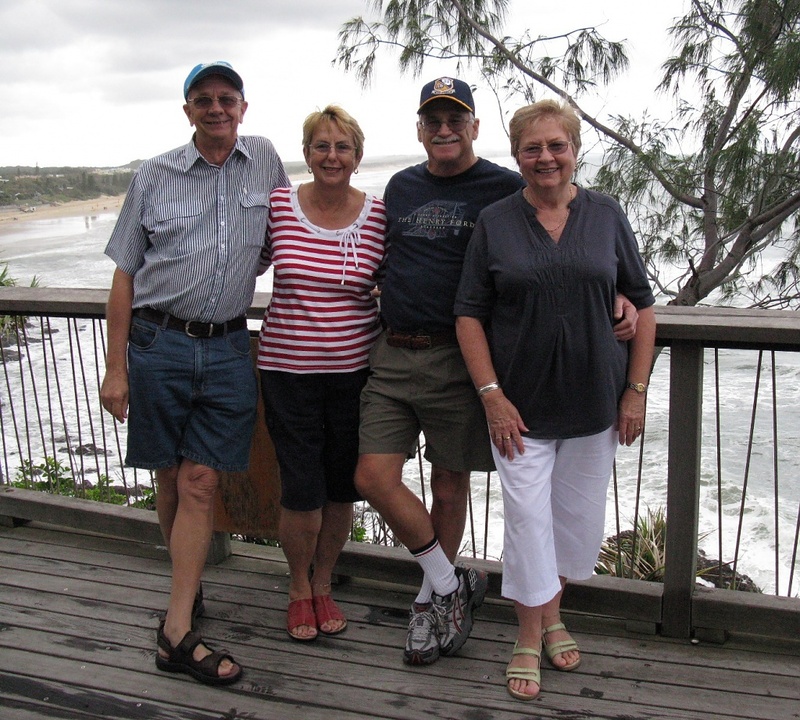 We spent the last 4 days with good friends at their daughter's holiday house at Coolum in Queensland's Sunshime Coast area. A wonderful time was had by all. It is wonderful to be blessed with such friends as these. Great Picture!! i loved the happy spirits .....great background! You wrote of having close, long-time friends...so nice to see you all together! You all look rested & fantastic! What a lovely place for a holiday!